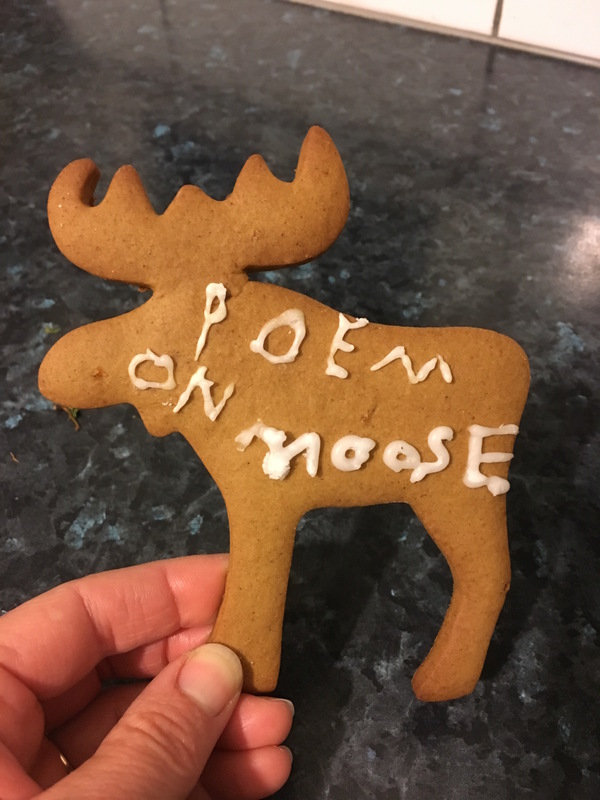 What happens when I let my daughter decorate Christmas cookies. Tell me you’re a bull. They beg to be bitten off. Giving away your moosy nature. Unless they are of the gingerbread variety. And moose (meece?) snort when they laugh.